Eye On The World: UN:The World Health Organization appoints President Mugabe of Zimbabwe as a "goodwill ambassador"
UN:The World Health Organization appoints President Mugabe of Zimbabwe as a "goodwill ambassador"
(New York) Zimbabwe is in a mess and the rot started under the leadership of President Robert Mugabe when he assumed power in 1987. Since then, his economic policies of robbing the rich to feed his bank balance has seen the country devolve into the stone age. Between 2000 to 2007, the economy shrank by 50%, in Sept 2007 the inflation rate stood at almost 8,000%, the world's highest. There were frequent power and water outages. Harare's drinking water became unreliable in 2006 and as a consequence dysentery and cholera swept the city in December 2006 and January 2007. Unemployment in formal jobs ran at a record 80%. 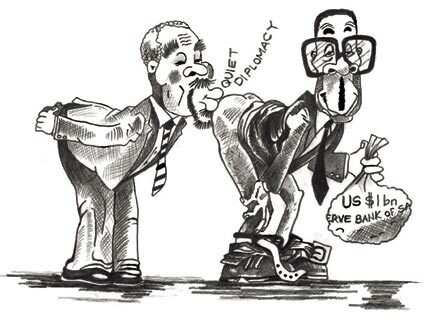 By 2009 inflation had peaked at 500 billion % per year and the Zimbabwe currency was worthless. 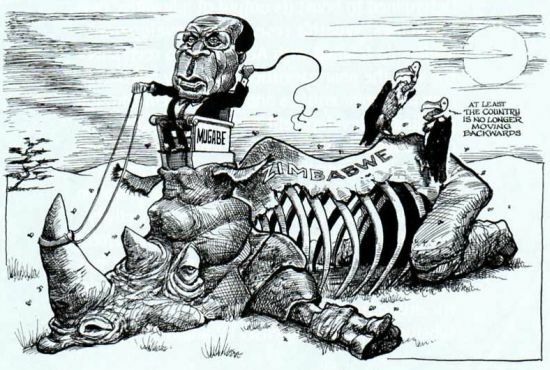 Zimbabwe's per capita GDP currently is $600, the third lowest in the world. The average wage is $253 a month—and that's for the 30 percent of the population who are employed. 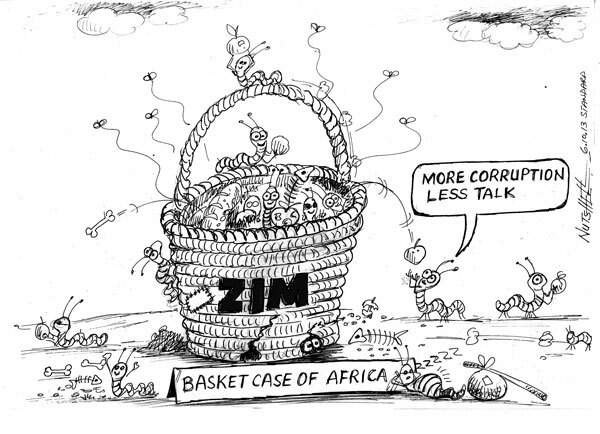 The so called bread basket of Africa has under Mugabe become a basket case. Half the population are fed by the UN and diseases are rife. 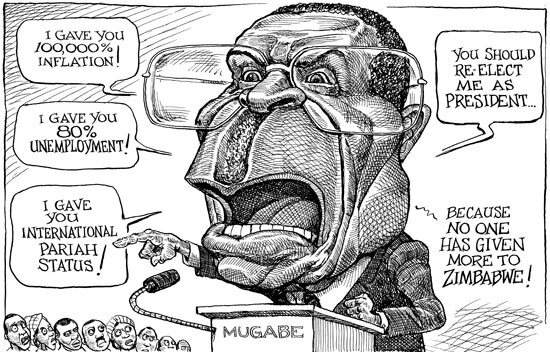 Mugabe has excused all of the above on imperialism, by claiming whitey is out to get him, yet whilst the people of Zimbabwe starve, he and his cronies live it large. Whilst the majority of the first world has placed sanctions on Mugabe , the third world sees him as something of a champion, which kind of helps explain how the new leader of the World Health organisation (WHO) Ethiopian Dr Tedros Adhanom Ghebreyesus has praised Zimbabwe for its commitment to public health and acknowledged that by appointing Mugabe of Zimbabwe as a "goodwill ambassador" to help tackle non-communicable diseases. Let me get this right a despot who has been responsible for "the shuttering of hospitals and clinics, the closing of its medical school and the beatings of health workers" is rewarded for his actions. Kind of explains why Two dozen organisations — including the World Heart Federation, Action Against Smoking and Cancer Research UK — released a statement slamming the appointment, saying health officials were "shocked and deeply concerned" and citing his "long track record of human rights violations". 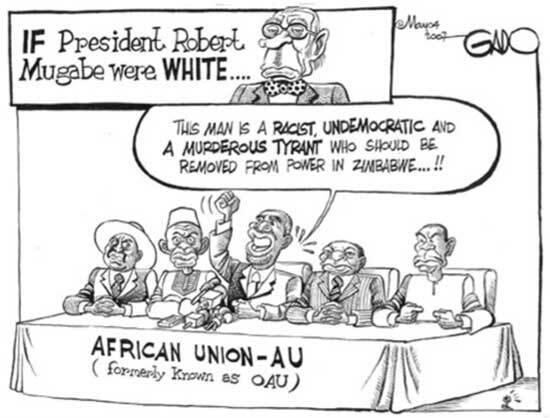 I suppose both Tedros and Mugabwe can both play the race card in which to silence their detractors.